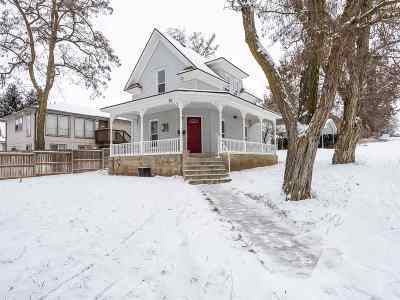 Great 1st home or investment property just blocks from EWU. You will love the curb appeal of this adorable Victorian-style home situated on a corner lot. 3 bedrooms and 1 bath. Sellers have gone through the home with fresh paint, deep cleaning, new heaters and new carpets. All appliances including washer & dryer stay. Gas fireplace stove. Vinyl siding and windows. 2-car carport is solid. There is nothing in this price range in the city of Cheney, so this won't last!